17:08 | Lima, Nov. 8. 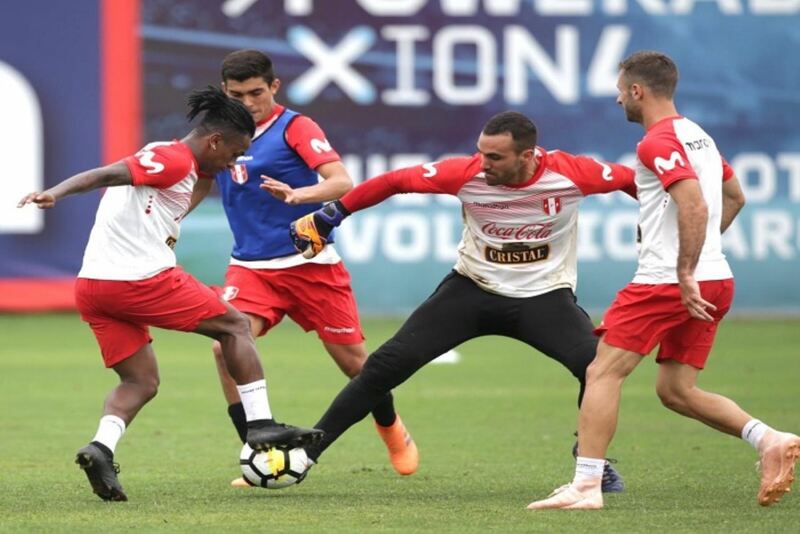 Peru's national soccer team on Thursday held its four training session ahead of the friendlies with Ecuador (November 15) and Costa Rica (November 20). The day started with warm-up and ball exercises. Afterward, the squad played a practice match against the U-20 team. The session took place at the National Sports Village (Videna) and was overseen by coach Ricardo Gareca, as well as technical staff members. Eight players attended the training: Horacio Calcaterra, Aldo Corzo, Christofer Gonzales, Alexis Arias, Ricardo Carvallo, Patricio Alvarez, Yordy Reyna, and Yoshimar Yotun. Last Friday, the Peruvian Soccer Federation (FPF) announced its 23-man team for the upcoming friendly games. It must be noted Peruvian midfielder Christian Cueva was not called up by Gareca. The Ecuador clash will take place November 15 in Lima. Later, on November 20, the Incas will face Costa Rica in Arequipa.